Lately I have been thinking—after seeing so many people using a scythe in person, in videos, or in photographs—about the different ways and contortions that some people adopt. You can see every single degree of inclination and weird twist, even in the same person. There is no particular posture better than other, as long as it is not to an extreme; indeed, the stance you adopt is not chosen but rather should come naturally and should adapt to your tool and to the site you are mowing. It is also determined by what you are trying to achieve. You have to adopt a position that best fits the assemblage (of snath and blade). The exception to this rule would be a competition, where there is no time to lose and you go for the biggest and fastest bite, even if you put your body in distress. If you need to mow a large rocky area with a regular-sized snath and scythe, you don’t need to bend as if you are competing with small snath and a huge blade that has a open tang. Curvature of the blade, the extent to which it is open or closed and, in particular, the tang’s angle play a big role on your posture. In the case of the Basques, for example, when they compete, it is admirable how much they bend and how far and well they advance, but it is hard to maintain that position for long periods of time. On the other hand we see quite often those who are very rigid. You can tell they are constantly aware of their body position, and they move trying to stay in the box or in within the lines. It is the difference between dancers who can dance naturally and have the rhythm inside and the ones who learn the moves and steps. (Those last ones are more preoccupied with the next step and the count than enjoyment of the dance). I think that it is a mistake to try to imitate other scyther’s positions since what it is probably comfortable for one is not for others. Bodies and –and centers of gravity—vary from individual to individual. When we watch a bicycle race, even if the cyclists are going at the same speed and at similar rhythms, everyone has a distinctive way of pedaling. In my opinion the body when mowing has to be relaxed, the arms and legs never extended to their maximum, as flexibility is very important. If your elbows and knees are not fully extended, you will be able to better respond or react to any obstacle—like an unexpected tree stump or hidden rock—on the terrain. A relaxed stance is also less stressful to the body. Forward movement doesn’t have to be rigid, nor doesn’t always have to encompass the circular movement. Sometimes you don’t advance both legs the same way or in the same pattern, and just a little extra inclination from your upper body will produce the same effect, especially on those occasions that you might have to have a smaller bite for the next swath or do a second pass of the previous one. At the end of the day, this is a self-adjusting process and very personal. 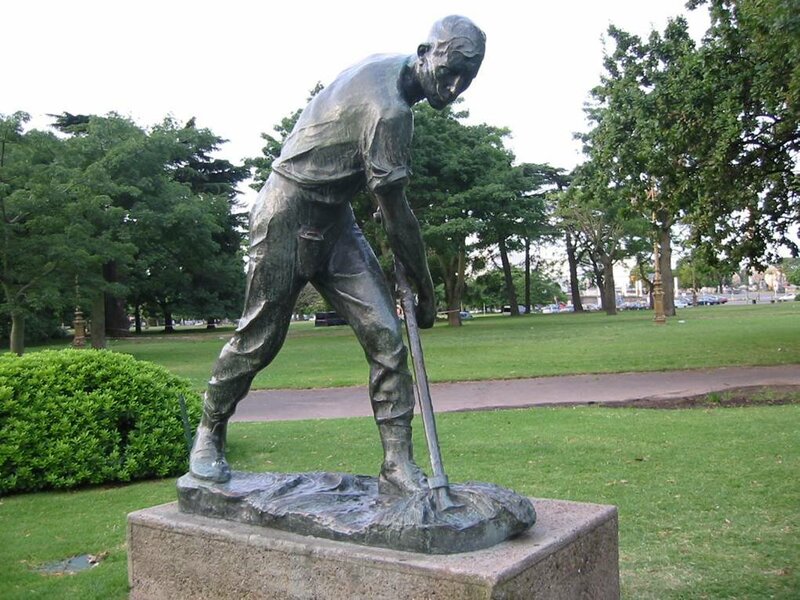 This entry was posted in Uncategorized and tagged Buenos Aires, mowing technique, scything posture by scytheman1. Bookmark the permalink.